Aaaall Abooooooard! This train's about ready to leave the station. But what if you want to get from London to, say, New York? Hard to take a train. 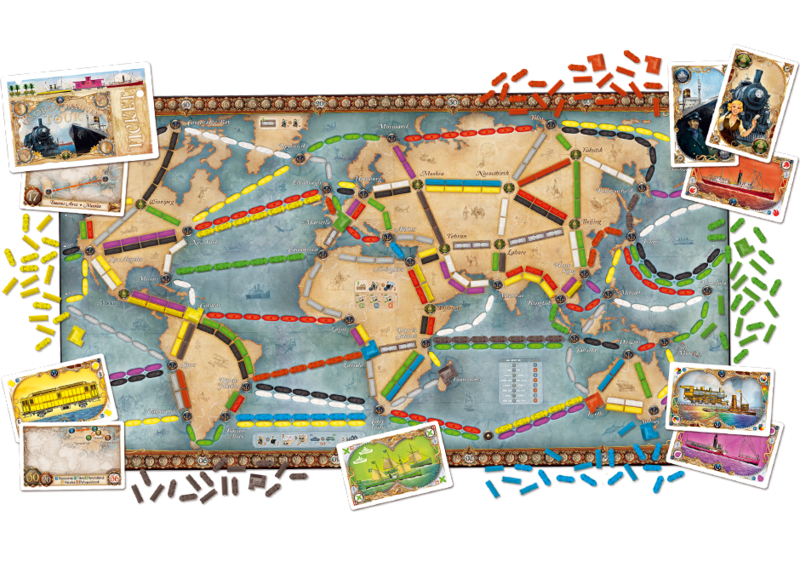 And there's not really regular air travel yet (in the world of Ticket to Ride, anyway). You're gonna have to take a boat. 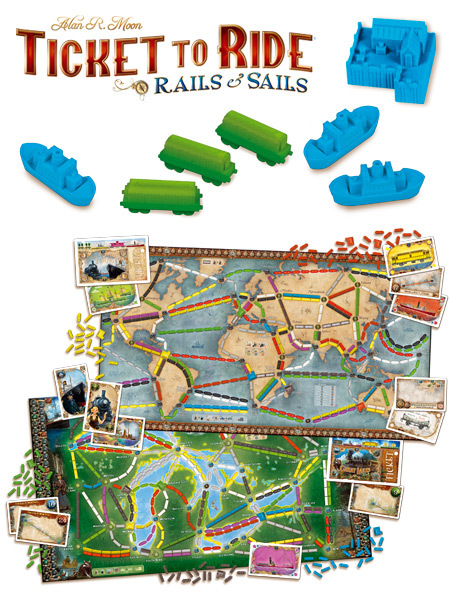 And that's just what you get to do in Ticket to Ride: Rails & Sails, a new version of the game announced by Days of Wonder. The game adds in ships (though they're not sail-powered, so the name's a bit of a misnomer, but whatever). The two-sided map has the whole world on one side and the Great Lakes region of the US on the other. So now you don't only get to connect places with trains, but you can have ships bring you places you've never been to before. There's also new routes that go through several cities. Sure, it's a bit harder to score those, but they're worth a lot more points if you do.